The announcement comes alongside new models of gaming mice, G903 and G703, and another technology of wireless connectivity, called “Lightspeed.” What is striking about this is a constant load, so we do not assume that you have to stop using it at any time as it does with bases or cable charging. Powerplay removes the need ever to charge a wireless mouse because it is always receiving power. The wireless charging tech built inside the Powerplay mouse mat is exclusive to Logitech, and the company claims it took more than four years of research and development to make it a reality. 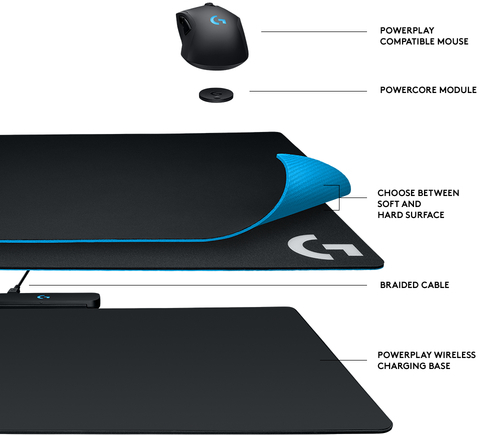 The mouse pad will charge your mouse wherever it’s placed and no matter how it’s moving. Technical details are insufficient, though we know it’s based on magnetic resonance wireless power transfer on the surface of the mat, which is 275 x 320 millimeters. The part responsible for transforming the area into charge current is what they call the Powercore module, which fits into mice. The load is constant and does not affect the use, without interfering with the transfer of data and movements, and will work in any mouse compatible with it (for now, being something new, only the two models that we have specified above). With a Powerplay Mouse Pad, never again will your wireless mouse run out of power. Logitech announced that both the charging system and the new mice would go on sale next August. 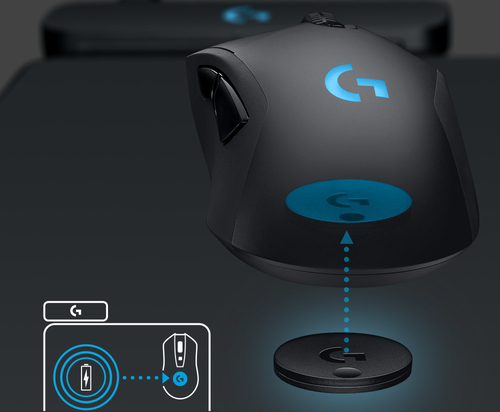 The G Powerplay charging system will be at $ 99, the same price as the G703, while the G903 will be at $ 149.